My Rig for Pirates was pretty simple (see picture below). 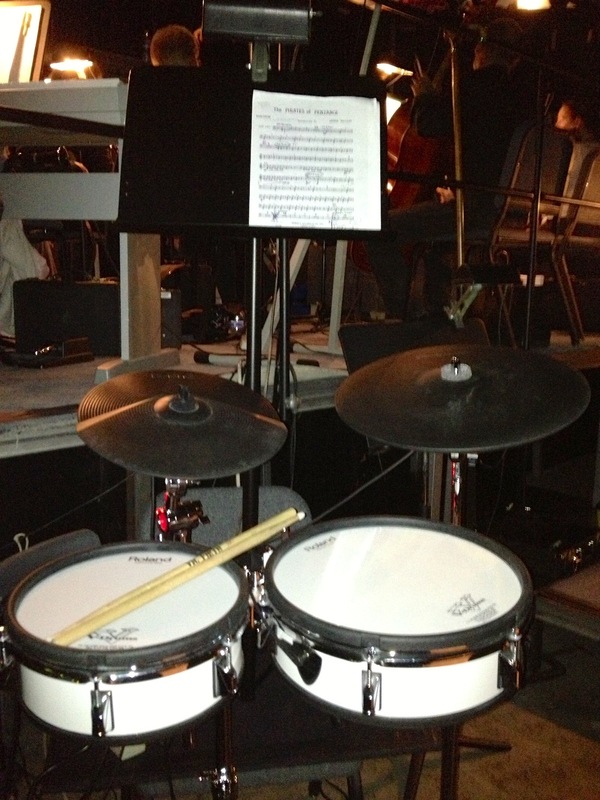 The two toms did overtime as snare and timpani with the cymbal triggers serving up triangle and crash cymbal sounds. The BT-1 trigger was a nice addition to deliver the bass drum without having to deal with a foot pedal, but still allowing me to deliver simultaneous bass drum and crash hits. be sure to select the PAD-1 trigger type and set the RIM patch or it will bounce between the head/rim trigger sounds. I also had to disable the rim trigger on the PD-100 it was mounted to so I didn’t get timpani sounds during the aggressive “Cat Like Tread” sequence. David R Zinn & A… on Rock of Ages!